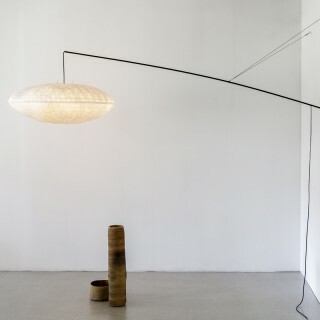 Japanese paper - black steel case and stem - base made of walnut wood - rattan. 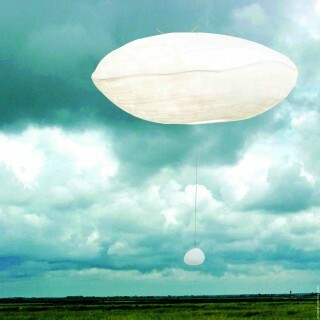 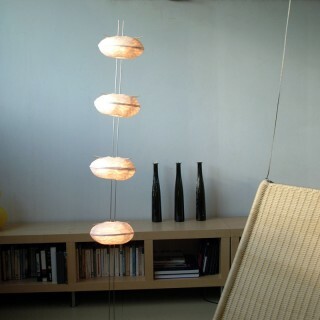 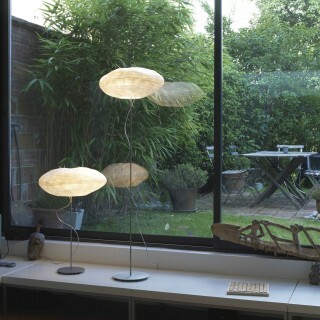 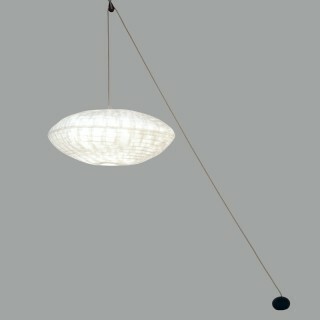 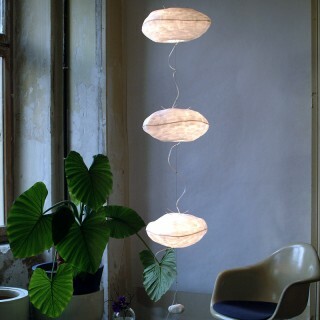 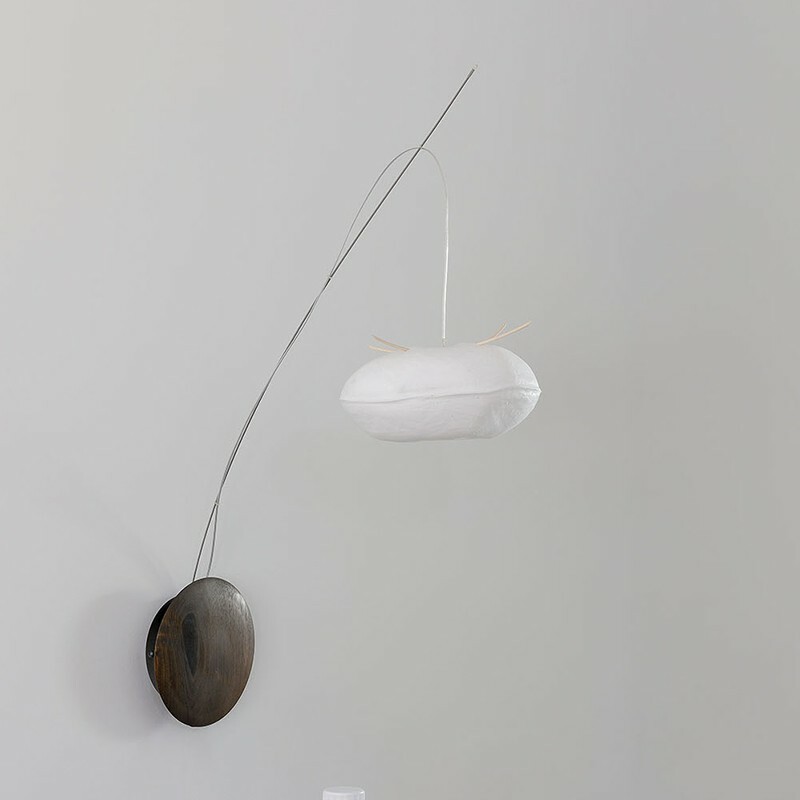 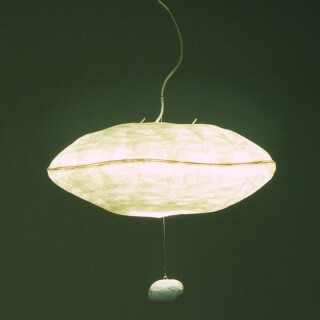 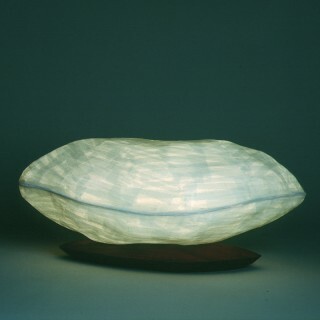 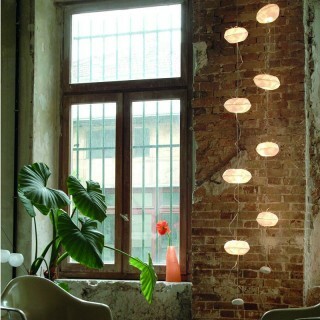 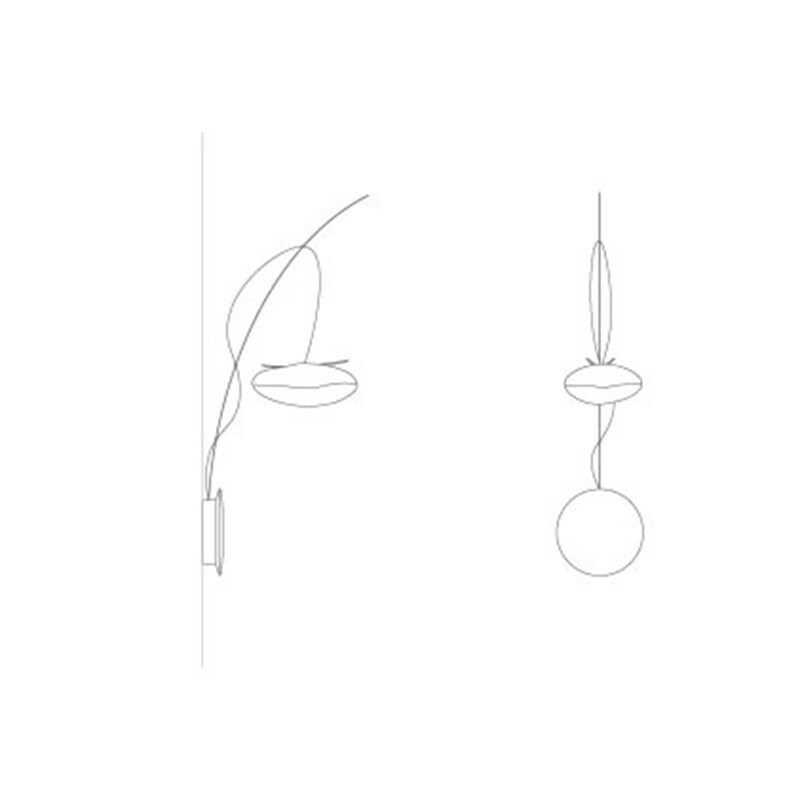 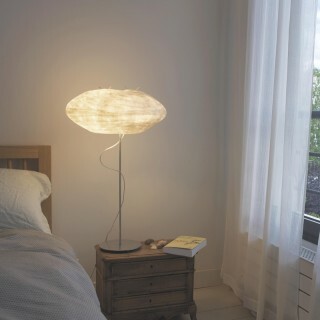 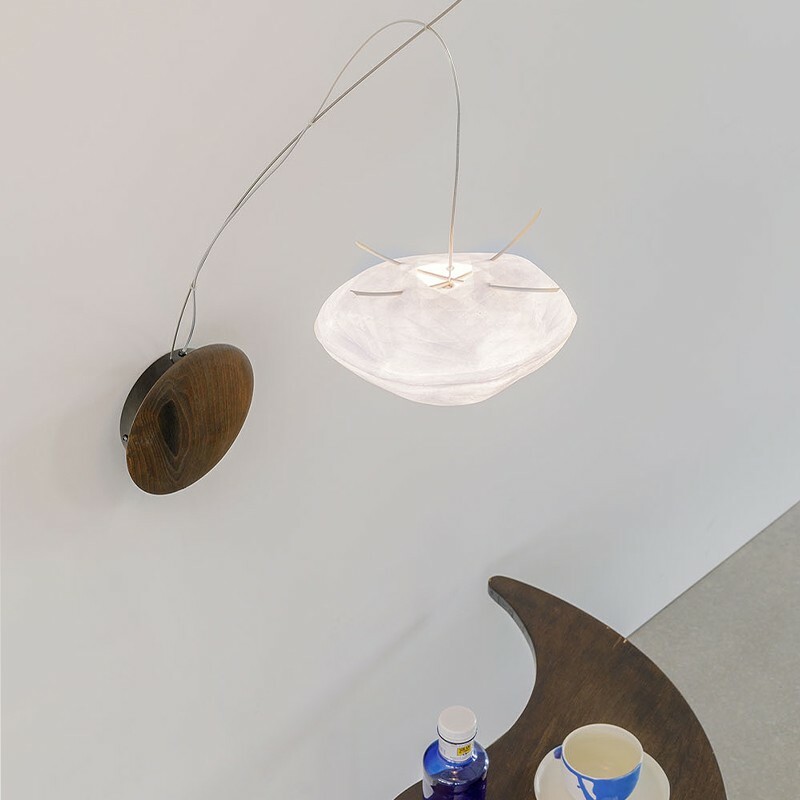 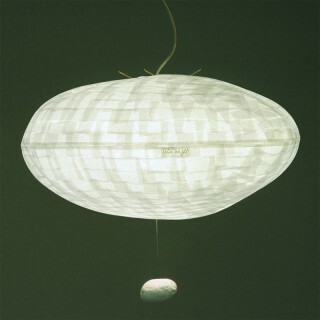 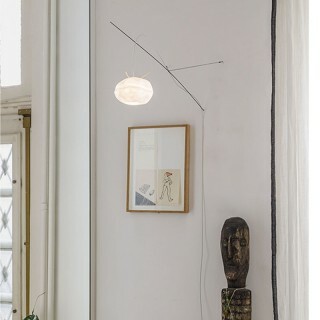 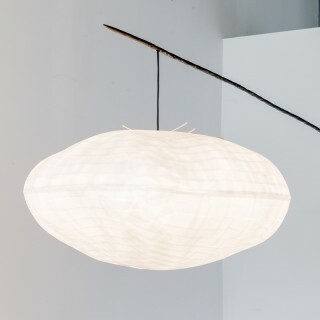 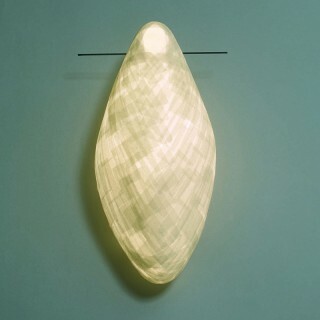 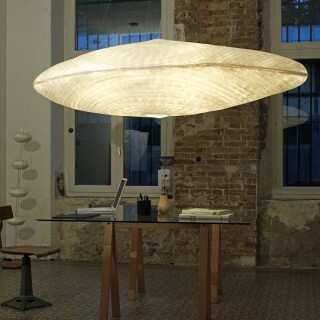 A small cocoon lamp hangs on a light steel stem by two wisps of rattan. 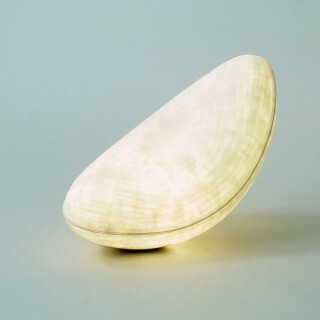 A lens in worked walnut wood dresses the steel case.